One national park holds within its boundaries some of the oldest tree species in the world, over 40 caves, and a 13,000 ft. mountain peak that contains a glacier in the midst of Nevada’s arid region. The Great Basin National Park is home to 5,000-year-old twisted bristlecone pines, Lehman and Pictograph Caves, and Wheeler Peak with its accompanying glacier, but it is still a well-kept secret along the Nevada-Utah border. It’s no wonder that travelers haven’t discovered this dramatic region, as it lies along the “Loneliest Road in America.” Those who venture down this quieter path will be rewarded with stunning views and a plethora of outdoor enjoyment. The first inhabitants of this region where the ancestors of recent Native American tribes that still reside here: the Shoshone, Ute, and Washoe, among others. More recently the Fremont people lived in Great Basin in organized sedentary communities, where they grew many crops and fashioned irrigation systems. By 1869, Absalom Lehman set up a ranch along Lehman Creek, and soon a small community arose, comprised mainly of his family members. He was successful at creating an orchard and large garden, to the point that eventually required outside help to maintain. Today, visitors can see remnants of Ab’s irrigation aqueduct and orchard on what was his 600-acre ranch. By 1883, Mr. Lehman had stumbled upon the caverns that bear his name, and built a new cabin just outside its entrance, with the intent to develop the caves. With his death in 1891, the caves were only frequented by locals until well into the new century. 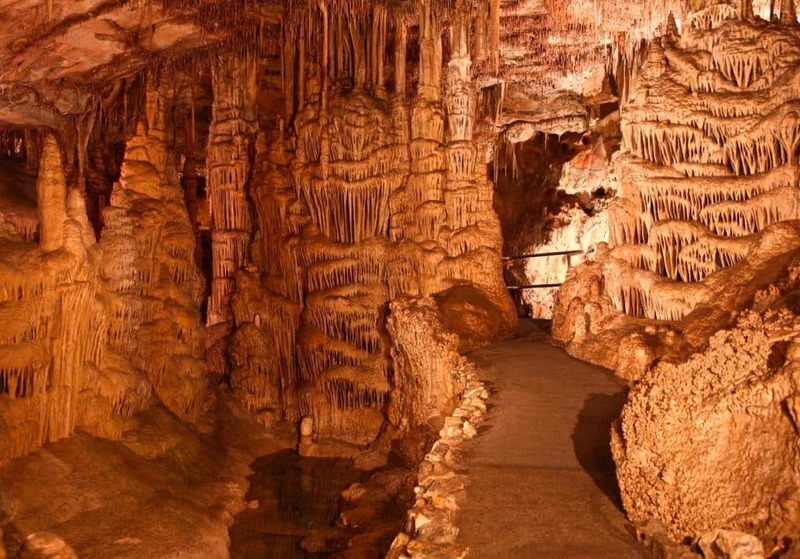 By 1922 President Harding designated the area as Lehman Caves National Monument, seemingly to protect the caverns and open them to the general public. However, the national government did not actively participate in administration duties at the caves, leaving local residents to their own devices. 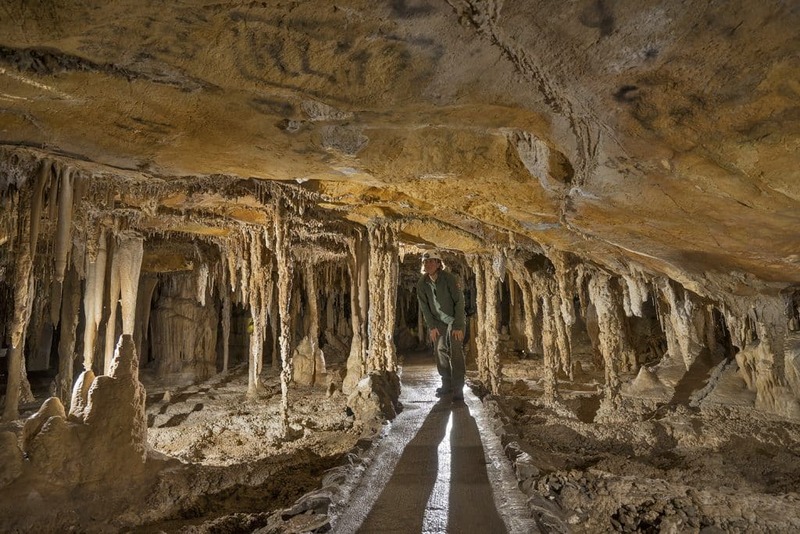 What followed were 11 years of weddings performed inside the caverns, musical concerts utilizing stalactites as instruments and large meetings held in the vast rooms of the caves. By 1933, the abuse of this natural resource ended when the control of national monuments was transferred to the National Park Service and clean-up of the caves began. The next several decades involved improvements and more exploration into the network of rooms, creating a safer and more enjoyable attraction for visitors. By 1986, Lehman Caves National Monument and the surrounding forestland and mountains formally became Great Basin National Park. 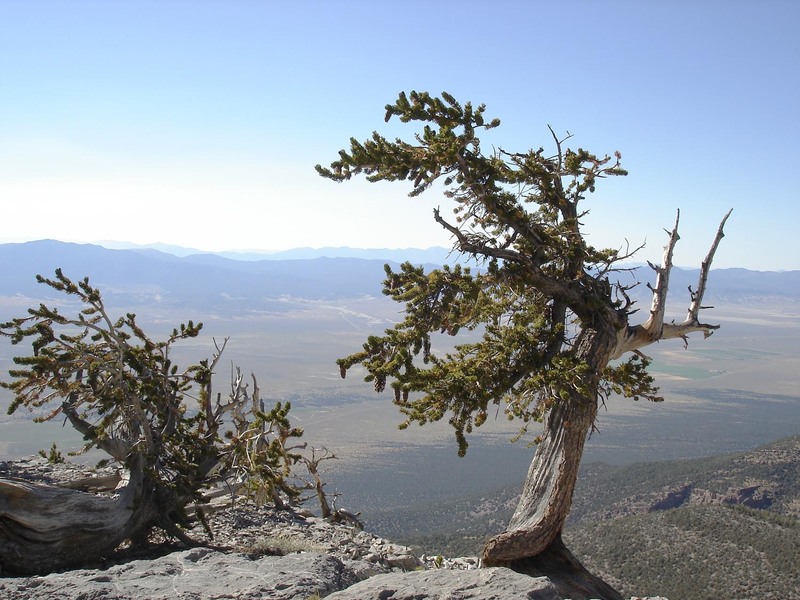 Why Visit Great Basin National Park in Your RV? This park is located in a rather remote, unpopulated area of Nevada. What better place to have your own home with you? 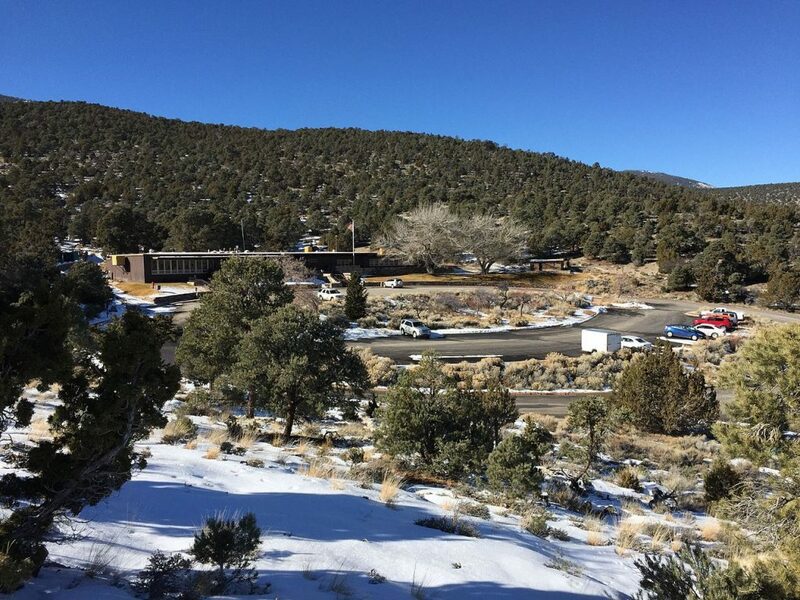 There are five developed campgrounds within the park, including several primitive sites and several RV parks within 20 minutes of Great Basin from which to choose. Enjoy the miles and miles of mountains and forests, hike to see the oldest species of trees on the planet, and take in the variety of topography, wildlife and geology in this under-visited park at your leisure. Located in the town of Baker, just outside the park, this center has information on the geology, culture and natural history of Great Basin, along with a film. It is open only during the summer season. Open year-round, this visitor center is located half a mile inside the park boundary. Tickets for Lehman Caves Tours are sold here, rangers are available for questions, and sign-up for ranger-led tours and permits are handled here. Once “protected” as Lehman Caves National Monument, these caverns were used by the general public for weddings, concerts, and meetings. Visitors even left trinkets at “The Wishing Well,” which, along with a good deal of trash, was cleaned up when the caves fell under the jurisdiction of Great Basin National Park. Today the caves have been returned to their natural appearance, with two daily tours led by rangers. 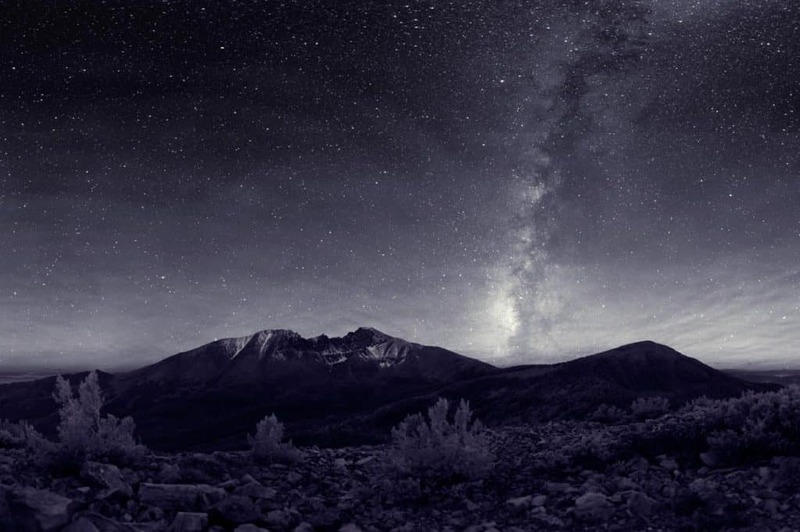 Designated as an International Dark Sky Park in 2016, Great Basin offers organized stargazing events, a festival, and weekly astronomy programs. There is even a Star Train that leaves from Ely, Nevada with dark rangers aboard to narrate. Arrival at the park gives riders the opportunity to view the night skies through the park’s high-powered telescopes. The trip occurs once a month from May through September and tickets sell out quickly at Nevada Northern Railway. Bike around Wheeler Peak Scenic Drive for some incredible views and great exercise. For mountain bikers, there are several unimproved roads for challenging terrain, but bicycles are not allowed off-road. There are five developed campgrounds within the park. 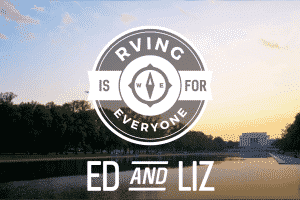 All have vault toilets, tent pads, picnic tables, and grills, but no hookups. There are also primitive campsites along Snake Creek Road. Lehman Caves has two ranger-led tours, but there are 40 other caves within the park. Little Muddy Cave is open October 1 to April 1 to those with a “wild caving permit.” Permits for caving are issued to cavers who demonstrate they have the proper equipment, caving techniques and experience needed. Great Basin is an arid land, but extremes in temperatures are not as widespread as one would think. June through September is a wonderful time to visit if hiking and camping are high on the list of activities. Roads into the park are usually cleared of snow by then, so access to trailheads and campgrounds is not a concern. Summer temperatures average around 80 to 85 degrees but hiking on Wheeler Peak and at some higher altitudes should always be completed by 1 pm to avoid lightning or wind storms. Winter can be an exceptional time to visit Great Basin National Park, with the anticipation of snowshoeing and cross-country skiing activities. 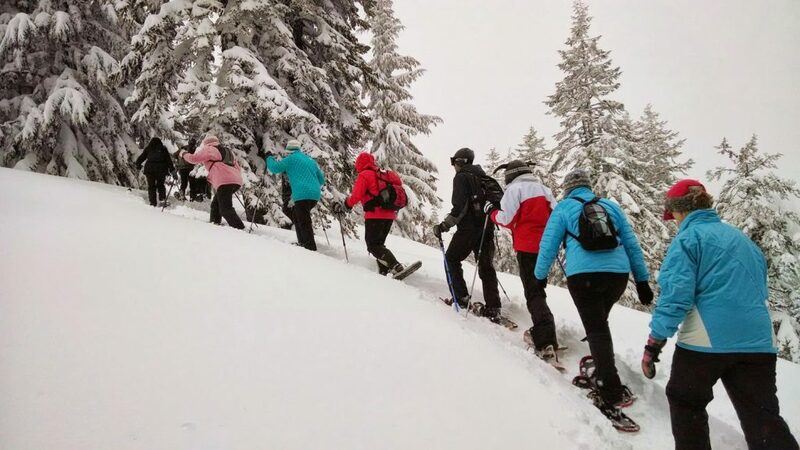 Many hiking trails offer great terrain for these sports, and although Wheeler Peak Scenic Drive is closed to vehicular traffic, skiers will find it perfect for laying tracks. Lehman Caves tours are also available year-round. Located just south of Highway 50, commonly known as the “Loneliest Road in America,” Great Basin is accessed from Highway 487 to Baker, then Highway 488 into the park. 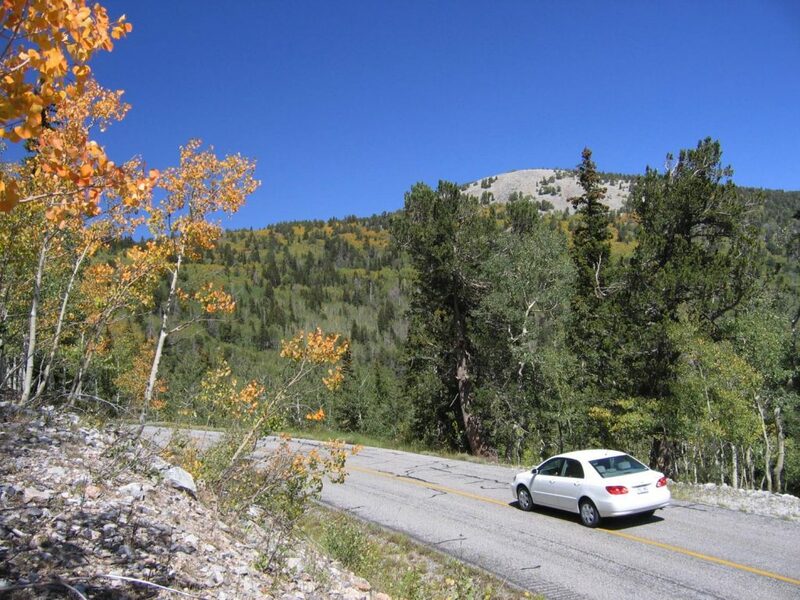 Once inside Great Basin, visitors can traverse Wheeler Peak Scenic Drive throughout the northern region. Any vehicles or trailers longer than 24 feet cannot travel past Upper Lehman Campground. Also, please consider that during winter months, the road is not plowed, so access is limited by the weather. There are several unimproved roads throughout the park leading to many trailheads for exploring more of the backcountry but many require the use of a 4-wheel-drive vehicle. There is no argument that Great Basin National Park is one of Mother Nature’s great amusement venues, with caves to explore, mountains to climb and outdoor adventures to pursue in any season. 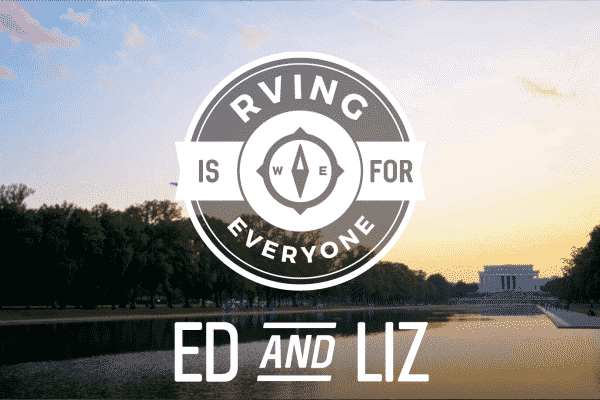 The real question is why haven’t more travelers discovered this understated gem in the national park system? Have you ever been to Great Basin National Park? Leave a comment below.